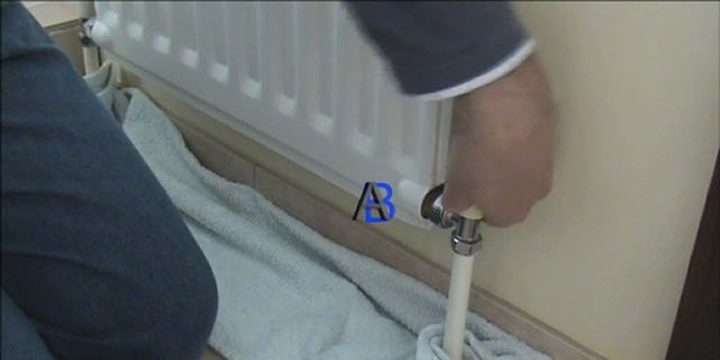 First job to do is to isolate the radiator, this can be done by turning both of the radiator valves fully off, this can be done with the valve knob and finishing off with an adjustable spanner (don’t over tighten). There are many gadgets on the market to do this but all you need is an old ice cream tub, you may find it fits better if you cut a slot for the valve, but in this case it fits perfectly. Supporting the valve with a pair of grips loosen the nut which holds the valve to the radiator, the water will then drain into the ice cream tub, open the bleed valve to let the air in to speed things up. There will not be enough room in the tub for all the water, so either keep emptying with a cup or re-tighten the nut and drain the tub. 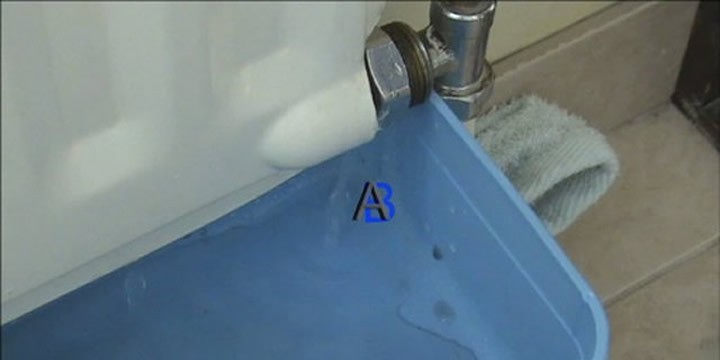 Once the water stops running out, undo the other end and lift the radiator up and off the brackets, there will still be a small amount of water in the radiator so protect any carpet and have a suitable bowl to pour the water into. 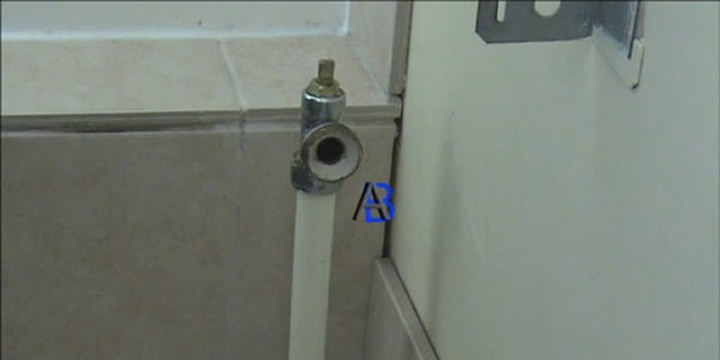 You may find that one of the valves drips slightly after removing the radiator and needs to be tightened slightly. 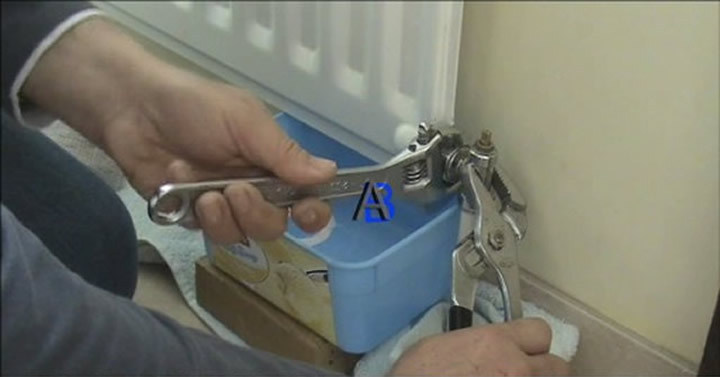 Clean all the old jointing compound off the radiator/valve joint and then spread a thin layer of plumber’s water jointing compound, refit the radiator, tighten up the two nuts, undo the valves and bleed the radiator (see bleeding).